As a current architecture student, I am passionate about how architecture impacts communities and environments. In my first year of school, activities I previously enjoyed in high school (such as swimming and spending time with friends) were partially eclipsed by studio and my passion for this new world of studying architecture. Although I was deepening my appreciation for design, I found I was ultimately less happy due to a lack of balance in my life. My second year of school, I was able to focus on a routine of being a student while also spending time on my hobbies and interests such as hiking, photography, and biking around the Central California coast. Balancing school and extracurricular activities made my second year of school even more enjoyable than the first. People around me live vibrant and holistic lives, which is easily observed in my college town of San Luis Obispo, California. When designing, it is imperative that an architect responds to the context of the site at hand and include the lives of the people she or he is serving, thus acting as a Citizen Architect. An architect should observe and research the community their site is in because it leads to a building that is intrinsically beautiful and dynamically integrated. As stewards of the built environment, architects develop a set of critical thinking skills that challenge architectural problems. One of the most popular activities in San Luis Obispo is the Thursday night Farmers Market. There is something magical about being able to walk in the middle of a street that is usually populated by cars. Observing the way people circulate, dance, and eat in this “off limits” zone is fuel to building what might be built in downtown San Luis Obispo. As a licensed architect, one of the tenets we are committed to is protecting the health, safety, and welfare of the general public. A Citizen Architect furthers this mission by including the joy and engagement of the served community. Every architect, by oath, commits their time to creating spaces that protect the life, safety, and welfare of the public, so naturally, every architect by nature is committed to being a Citizen. The AIA recognizes a Citizen Architect as an AIA member that applies their design insights, talents and training to advance leadership, advocacy, and civic engagement, and within their community, strive to be the voice of the profession to other members in the general public. 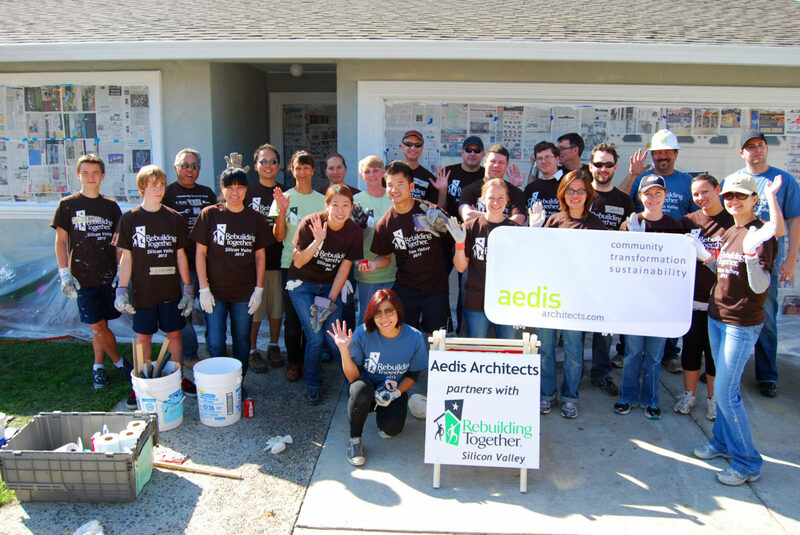 Architects should engage the community and be aware of social impacts of their interventions. As part of the social fabric for the field of architecture, architects are called to observe and research a community as a partner and stakeholder in that community’s whole life/picture. Samuel Mockbee references Citizen Architects in talking about Auburn’s rural studio program. He sees a Citizen Architect as a designer who connects with and understands the local community where they are designing, therefore being mindful of the impacts architecture has on a community. Mockbee’s definition encompasses a broad approach to design through architectural and social applications. Participatory design benefits communities. However, when you define citizenship, it is important to be aware of the social impacts you can have on a place. But it is reciprocal! The community should engage in the design process because they know the site even more than an architect could. Since design is a dynamic process, architects should call upon the communities they impact by inviting them into the design process as local “experts” on the space in which they live, work, and play. The term “Citizen Architect” can have many connotations which could be misleading; for our purposes here, I see it as someone who is not only engaged in their community but also aware of social issues in which they can have an impact. This could be as simple as volunteering at a campus event, local shelter or holding the door open for someone. There is more to being a citizen than just being an activist in issues relating to the professional field. As creative problem solvers, an architect has the skills to make differences in communities through design. As architecture students, we already have started developing skills that can be used to make a difference. For me personally, being a Citizen Architecture Student means being aware of my environment and having the confidence to make a difference. Some of the ways I stay involved with whats going on around me include the following: monitoring local town hearings on interesting topics; participating on the AIA at the state level to keep me current with whats going on in the profession; volunteering at school events and participating in the annual Freedom by Design event. All of these take me outside of my world of studio and software and embedded into the world where this study leads. This field and study of architecture continues to intrigue and engage me as I continue to dive deeper into the impact that at first would seem to the non-student, visual, into the more multi-faceted aspects of community engagement and design. For me, this means continuing to make a connection between communities and environments and how I can be more aware and active of the seeds I can plant now.